Why should you hire a lawyer? A lawyer can act on your behalf by providing his or her expertise in resolving disputes. Lawyers with insurance backgrounds understand how insurance companies work. They know how estimates and claims processes can often be used against policyholders and know how to fight back. More importantly, hiring a lawyer means that you have someone fighting on your behalf with your best interests at hand. Insurance companies want you to believe that they have your best interests at hand, but as we all know, that is seldom the case. What kind of lawyer should you hire? When dealing with insurance companies, it is best to hire a lawyer who understands how insurance companies operate. General practitioners do not have the level of experience as those whose practices specifically focus in this area. -How long have you been in practice? -How long have you practiced insurance law? -What types of insurance cases have you handled and what have been the outcomes? -Do you have trial experience? If so, how much? -Are you a member of any clubs or organizations that deal with insurance issues? -What up-front costs are involved? How are lawyers compensated? Lawyers who handle lawsuits against insurance companies are generally paid on a contingency fee basis, which means that they don't get paid until you get paid. Many will pay for miscellaneous costs (filing documents, hiring experts, etc.) up front and then deduct those amounts from your recovery, but it's important to ask if you need to pay for any up-front, out of pocket expenses. What are the benefits / risks of hiring a lawyer? 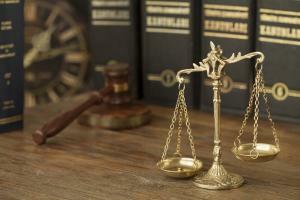 The benefits of hiring a lawyer are that you will have someone representing your best interests. A lawyer who understands how insurance companies operate can also take on the stress that often accompanies the claims process and you generally don't need to pay any money up front if the lawyer is paid on a contingency fee. The greatest risk of hiring a lawyer is hiring the wrong one. Any licensed lawyer can handle your case, but if they don't understand the insurance process, they're not likely to obtain the best results. At Advocate Law Group, we've seen how insurance companies often take advantage of their policyholders – hoping that they'll settle for less than they're entitled to or not fight a fire insurance claim denial. Simply put, we think it's wrong and we decided to do something about it. Contact us and we will explain what we do to help you get what you deserve. For a free consultation, contact us at 1-888-ITS-LEGAL (1-888-487-5342).